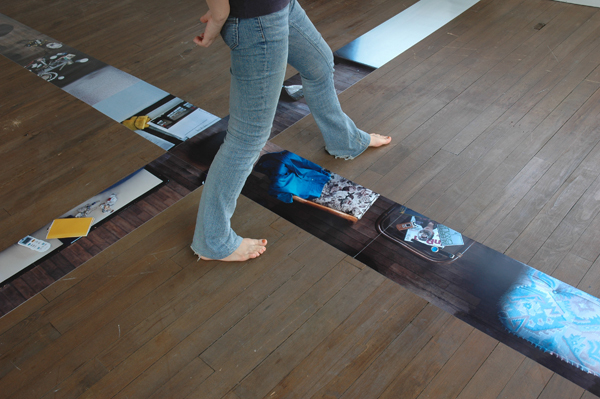 'Sanatorium' allows audience to view the resident rooms underneath the floor of youkobo ART SPACE penetrating through the floor. 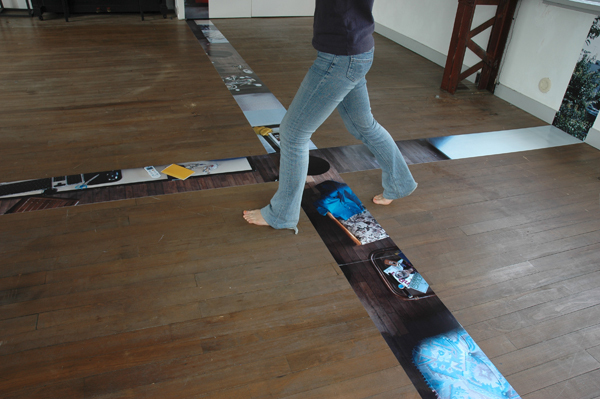 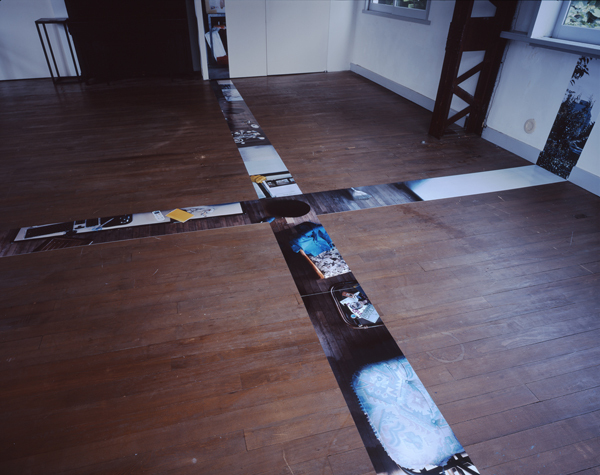 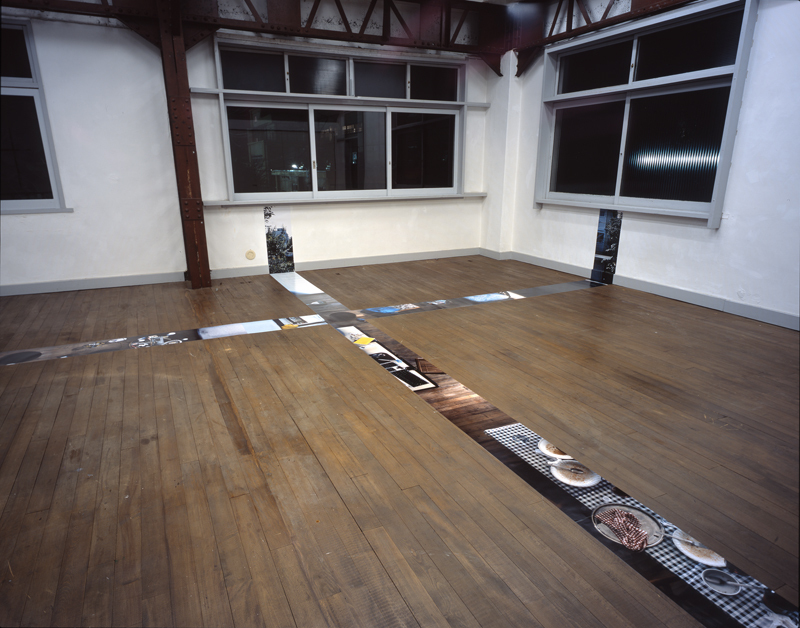 Two long strips of photographs cut across each other on the floor of the exhibition space as if the photographs attached on the floor of the youkobo gallery disclosed the resident rooms underneath the gallery where I stayed before the exhibition started. 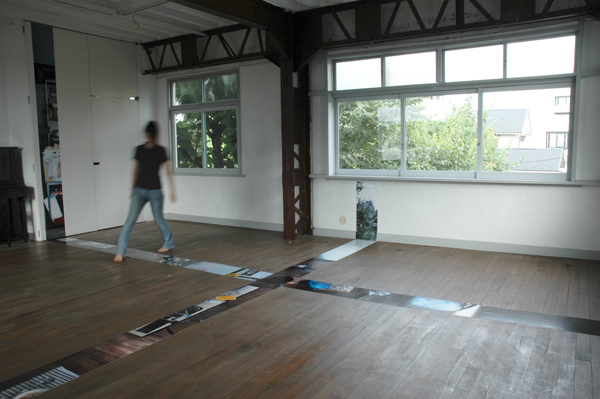 The photographs, installed on the walls of same gallery showed views beyond the walls: the office and the surroundings.